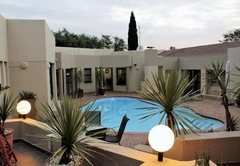 President Lodge is a 4 star graded guest house offering Edenvale accommodation in 14 guest rooms. 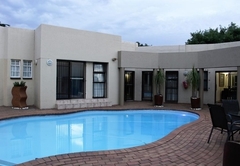 President Lodge is centrally situated in a quiet residential area very close to OR Tambo International Airport. 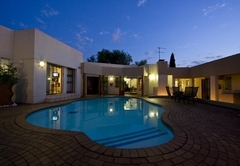 President Lodge is an up market guest house only 8 km from OR Tambo International Airport. 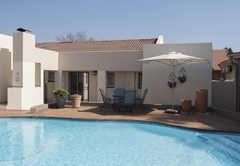 This beautiful lodge is situated within easy reach of all major highways, and is close to Bedfordview, Johannesburg, Rosebank, Sandton and Pretoria. 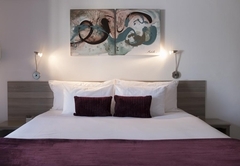 We offer eight elegant en-suite rooms, each individually decorated with attention to detail and a personal touch. 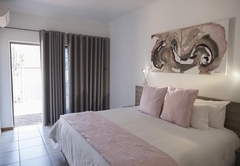 All rooms have private entrances, mini bars, air-conditioning, DSTV, Wi-Fi Internet access, tea and coffee making facilities and safes. There is secure parking for all our guests. Full English or Continental breakfasts are served in our elegant dining room or in a more relaxed atmosphere around the pool. We also offer gourmet dinners on prior arrangement. 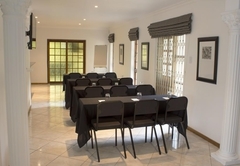 President Lodge offers an executive air-conditioned conference room set up in a boardroom style. 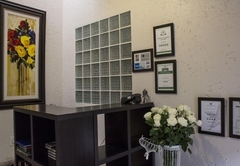 The Boardroom can accommodate groups of up to 10 delegates and is fully equipped with an electronic data projector, a screen and a white board or flip chart. The swimming pool and entertainment area create a tranquil atmosphere to relax after a long flight or a day at work. 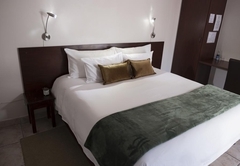 President Lodge is close to the following shopping malls: Eastgate, Green Stone, Rosebank, Sandton, Bedford Centre, Menlyn and East Rand Mall. We can arrange transfers to and from these malls. 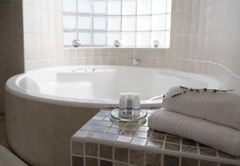 Treatments and transfers can be arranged to one of a number of Day Spas in the area. 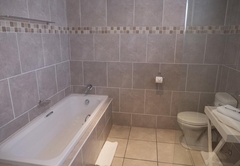 We are close to the Glendower, Royal Johannesburg and Modderfontein golf courses. 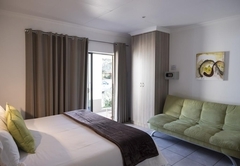 We will provide you with the perfect accommodation and transport to and from these venues for you to enjoy the entertainment, shows and expos offered there. Apart from transfers we will also provide a picnic basket with delicacies and drinks where required. 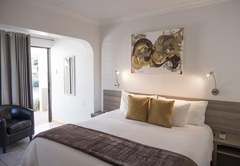 Executive / Honeymoon Suite. 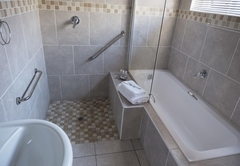 2 x Single Beds / King-Size Bed / SHower / Bath. 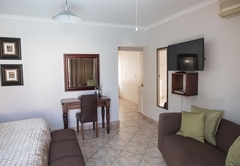 All rooms have private entrances, mini bars, air-conditioning, DSTV, Wi-Fi Internet access, tea and coffee making facilities and safes. There is secure parking for all our guests. 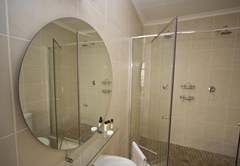 King-Size Bed / Shower / Bath. 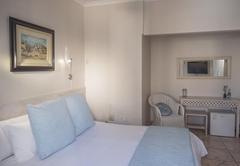 All rooms have private entrances, mini bars, air-conditioning, DSTV, Wi-Fi Internet access, tea and coffee making facilities and safes. There is secure parking for all our guests. Family room with twin beds / king size bed and Sleeper Couch. 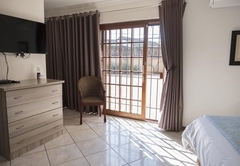 All rooms have private entrances, mini bars, air-conditioning, DSTV, Wi-Fi Internet access, tea and coffee making facilities and safes. There is secure parking for all our guests. 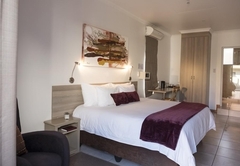 2 Single Beds / King-Size Bed / Shower. 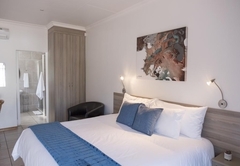 All rooms have private entrances, mini bars, air-conditioning, DSTV, Wi-Fi Internet access, tea and coffee making facilities and safes. There is secure parking for all our guests. 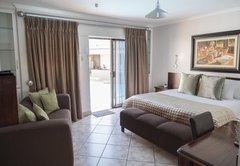 The Family suite has a very big bedroom with a king / twin bed and an additional single bed. There is a small lounge with a 2 seat and 3 seat couch. 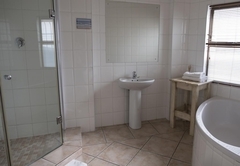 The bathroom has a spacious shower and separate toilet. 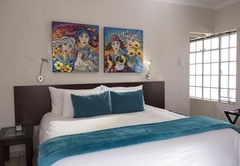 45 Reviews from SA-Venues.com travellers. All reviews are verified. It was fantastic visit, everything was excellent, I really enjoyed and I will come back again and again and again and again. 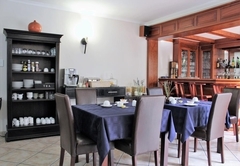 Excellent facilities, food, and conference facilities for a team of about 10 to 15 people. 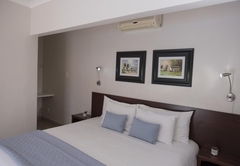 Clean and very comfortable rooms and very well priced. Response timePresident Lodge typically responds to requests in 5-10 minutes. 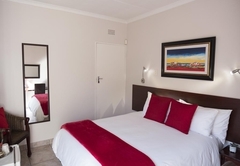 Exceptions to check-in/out times by prior arrangment, please enquire.